The schooner Bowdoin is the flagship of the Maine Maritime Academy (MMA) sail training fleet and the official sailing vessel of the state of Maine. Built in 1921 for exploring Arctic waters, she is one of the strongest wooden vessels ever constructed. 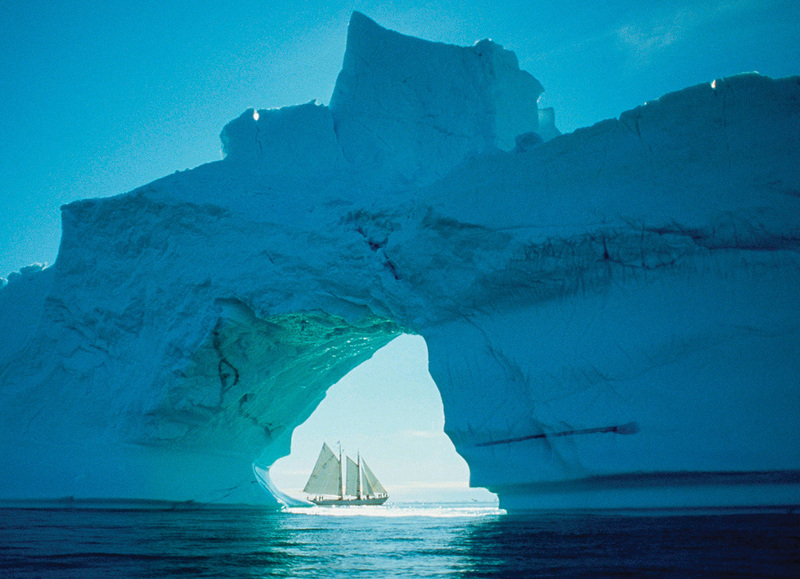 Between 1921 and 1954, she made 26 voyages above the Arctic Circle under the command of explorer Donald B. MacMillan. Today, Bowdoin serves the students of MMA, the state of Maine, and New England, sailing in the waters of New England, Nova Scotia, Newfoundland, Labrador, and Greenland. In MMA’s Sail Training Curriculum students learn to sail, maintain, and manage traditional and modern sailing vessels. Sail training afloat is performed on the Academy’s fleet of over 50 vessels, including Bowdoin, a smaller schooner, a fleet of Colgate 26’s and racing dinghies, several large ocean racing and cruising yachts, and numerous other sailing and power vessels from 15 to 500 feet. Since being purchased by MMA in 1988, Bowdoin has returned to the Arctic three times with MMA students, continuing the tradition of Admiral MacMillan in carrying young people to the northern latitudes.